Lightseekers is the new hot topic in the gaming community. We bring you the interview with the head of PlayFusion, Mark Gerhard. PlayFusion is the studio behind Lightseekers — an action-adventure RPG that’s unique in the way that it will offer a connected play by combining real life and virtual gaming to achieve maximum enjoyment. 1. So we got a chance to read about the game on Kickstarter. The first question a lot of people have is how Lightseekers is going to be different from other action-adventure RPGs? In many ways, we hope! 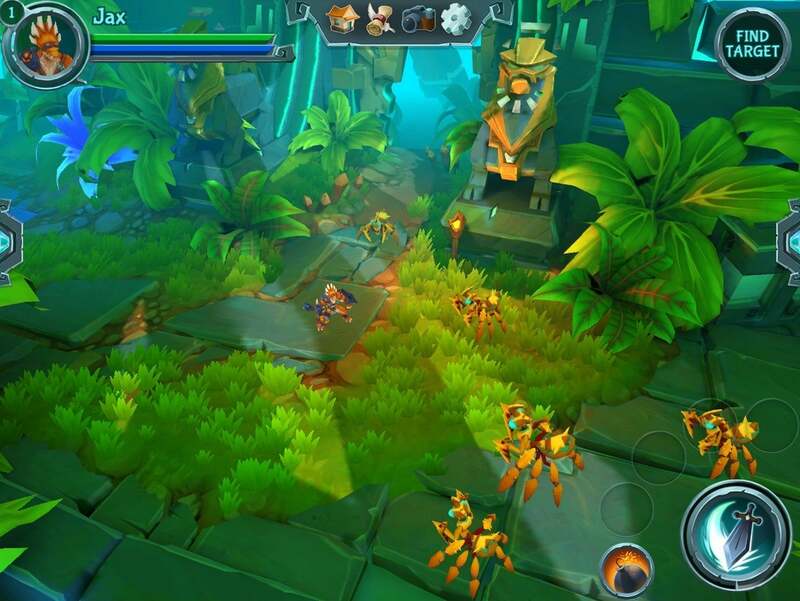 Lightseekers is available on mobile and tablet, and the graphics are really impressive on both. The world of Tantos is significantly bigger and more open than in the majority of ‘small instance’ tablet RPGs currently available. The game is designed to be a dynamic service, meaning we will constantly be updating it, ideally weekly, rather than just releasing a project and then the occasional update, we aim to be updating it at least several times a month. The game universe is huge and will contain hundreds of hours of repeatable content at launch, with tens of hours of new game updates added frequently. Lightseekers is also completely free on iOS, Android, and Amazon; there are absolutely no micro transactions, in-app payments, upfront payments or subscription requirements. 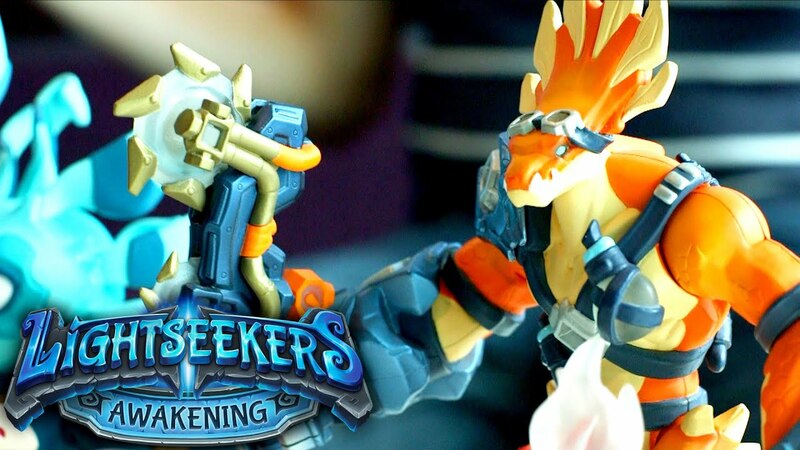 The video game is only one part of the whole Lightseekers offering, with both AR cards and interactive two-way smart action figures available as additional enhancements on top of the core game experience. It is our hope that by providing such a wealth of beautiful, compelling content for free, players will want to engage even more and help support us by adding cards and digital action figures to their game. Both the cards and the figures have the ability to alter the game and provide unique experiences not available anywhere else regardless of platform. Lightseekers will also be released on PC and Mac after the initial mobile/tablet launch and we will be listening to our community about where they would like us to port the game to next. 2. Great! This will give the game an edge over other RPGs. Plus, with the inclusion of action figures and collectible cards, you’re aiming a full franchise. How will these elements enhance the core gameplay? Everything outside of the game in the Lightseekers universe is designed to provide various levels of enhancement to the core game. The most prominent are the action figures, which feature two-way communication with the game. Aside from having unique content tailored around them, the figures will use lights, sound, vibration, and movement to make the adventure more visceral and real. The action figures will help unlock new areas, solve puzzles and give quest clues as they talk. The figures are fully voiced with an incredible amount of knowledge of the game world, reacting specifically to where the player is located in the game world, as well as what they are currently doing. The items you can equip the figures with, such as weapons and flight packs, will also tie in with the core game. The physical transposes seamlessly to the fantasy, and your in-game stats and achievements save to and upgrade the physical item. Your in-game progression of a weapon (its level, statistics, and any Lightstones contained within) is bound to the weapon, meaning equipping different weapons can have instant effects. This means that players are able to trade/share the item with friends to help them complete the various content challenges on offer in the game. Players can also equip their character with a flight pack to enable a new control mode, allowing the player to use the figure as a game controller, flying around in game with a modified combat system for flight. These packs also allow the player to fly across rifts to reach bonus areas, as well as various multiplayer head-to-head flight-related mini games! We have also designed a fully fledged offline card game which we believe hard-core TCG players, just like us, will absolutely love. In addition, each card can be scanned into the digital game for unique effects (and adding to your digital deck). These effects can vary between the cards, including a variety of buffs, spawning friendly NPCs to join you, spawning enemies for unique loot, power increases and even powerful ability unlocks; Combos. Combos are a core aspect of the combat system and are the most devastating abilities in a player’s arsenal.This is just a small insight into what we have so far – we’ve got even bigger things planned for the cards beyond launch! 3. Amazing! A lot of people also want to know how pronounced will the role of augmented reality be in the game? How pronounced will the role of augmented reality be? See this. This depends on the player. The game is free and does not require the use of any AR interactions to play. That said, we have developed a standalone game of 386 cards, all of which unlock something for the player in the game. Combo cards are the most interesting, as they actually augment the core combat in the game. All our cards have a unique identifying system on them which allows us to associate particular cards with a player’s account. In the case of combo cards, this means adding combos they have scanned to their digital deck and allowing them to be used in combat as the situation demands it (for instance it would be beneficial to have water based combos in a fire dungeon). 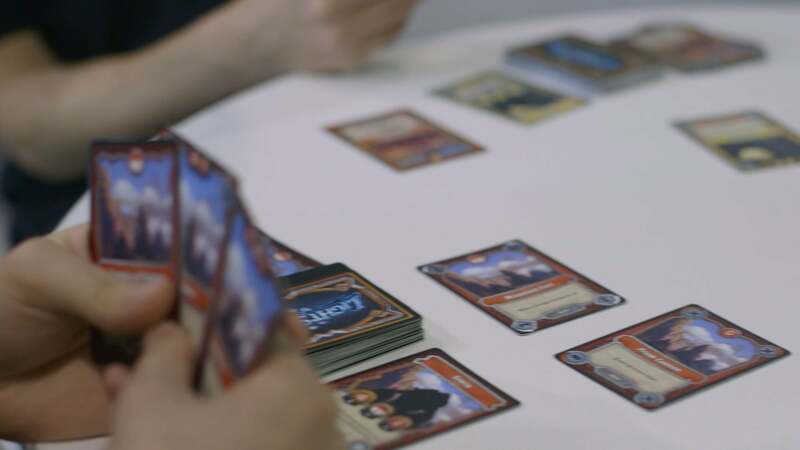 In the future we will be adding the ability for cards to be scanned into the game and change the world, and we are also aiming to produce a digital version of the physical card game where players will be able to use any cards they have scanned into the game. 4. I see. Moving on, VentureBeat has commented that Lightseekers is a full fantasy ecosystem. A great action-adventure RPG surely excites gamers. Tell us more about how the story and exploration of Tantos will leave gamers spellbound. The world of Tantos and the exploration within is one of the things we are most excited about. We’ve spent a great deal of time and effort crafting out a history to the world, documenting all races and events over thousands of years. Everything is intertwined to coherently create a rich, living, breathing world. The PlayFusion team wrote over ten years of lore before we even started on the game design! The world is on a different scale to the average game world in more ways than one. Unlike standard mobile games, each explorable zone features hundreds of quests and hours of content in all forms – combat, non-combat, exploration, collectibles and customisation to name a few. These correlate to a core narrative that we are telling across four of these massive zones, where the player adventures through the colourful world of Tantos, meeting the many creatures that reside within. 5. Wow, it sure sounds huge. Tell us more about playing with friends and forming guilds. Lightseekers has many social features planned, and we’ll be rolling them out more and more as the game matures. Aside from playing the head-to-head multiplayer content with the digital action figures, players will naturally be able to manage friends, start and join guilds and see friends in your world. Your friends can be engaged even if they are offline, and you can perform various activities with them. We intend to support the concept of hiring friends as mercenaries, allowing them to fight alongside you, earning you both rewards. On the non-combat side, we’ll also have player-made quests, where you can task other players with performing certain actions, such as handing in items for a social reward – and you keep the items!Guilds will begin with the standard support (formation and organisation), but we have a roadmap planned that quickly ramps into supporting guild areas, and many levels of guild customisation and social systems. 6. That’s nice. Well, the action figures seem really killer with their connectivity prospects and the technology used in them. How did you get this idea of using toys for progressing in-game? Quite organically! With everyone in the team being massive gamers, and with backgrounds in various RPGs, it seemed like a logical step. We wanted to explore the idea of being able to have a physical representation of your in-game character, which could evolve and remember its travels and progression. Natural curiosity means that we are keen to challenge ourselves and drive innovation, so we sought what was missing in the current Toys-to-Life space. We hope the results speak for themselves; articulated digital figures, equipable items, a plethora of accessories as well as the FusionCore, our powerful mini-computer providing super smart figures with personality and BTLE communication with the Lightseekers game! 7. Sounds very exciting! Moreover, the whole toy system – how equipping a weapon will lead towards your in-game character holding it as well – seems a bit complicated for players who rather enjoy simple gameplay. Any alternatives for them? Lightseekers is as simple as you want it to be! The weapon changing is not a frequent interaction from a game-play point of view. We expect the player to potentially want to swap weapons when venturing into a particularly tricky dungeon or embarking on quests that are heavily populated with a particular sort of enemy. The weapons themselves can be customised with Lightstones, powerful digital artefacts that are capable of changing a weapon’s alignment such that you would not have to change a physical weapon if you didn’t want to. If it is the case that the player just wants a visual change to their weapon there will be skins available. 8. Wow, that much control is good enough I guess. Anyway, so you’re picking up considerable support. Will you continue to gather information from people who are interested even after the full launch around March next year? We could always use more support! Absolutely, we are listening to the community and are receiving positive feedback about our frequent and totally transparent engagement. This is one of the cornerstones of our company; it’s not just the way we communicate with the community, but it’s the exact same way we work together as a team. This certainly won’t ever change and we will continue to listen, engage and iterate with the aim of always trying to create the best experience for our community. 9. I’m really happy to hear that. Now lastly, what is the meaning behind the name Lightseekers? And we also got to know that the game was first named Lightstone. Is that true? Yes, it was indeed named Lightstone a few months ago. Lightstones are an important part of our game lore and crafting mechanic, but we ultimately decided to name the game after the heroes. We were also keen to make sure there was suitable language in place; we much prefer referring to them as “Seekers” or “Lightseekers” than potentially “Stoners” – this could have made for some interesting Christmas lists!